Performing regular maintenance on your Acura is the best way to ensure that it continues to provide the performance and reliability you’ve come to expect. 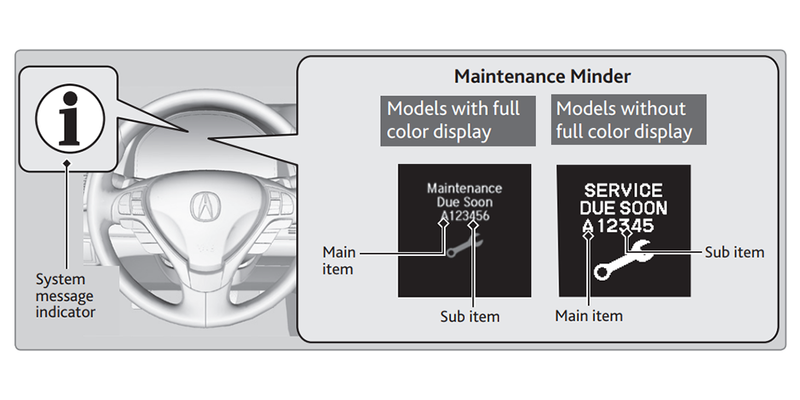 Staying on top of required maintenance is simple thanks to the Acura Maintenance Minder. Since each Acura model has its own unique maintenance requirements, this easy-to-use system calculates service needs based on your car’s mileage. To help you gain a better understanding of exactly how this system works, Motorcars Acura has created this informative Acura Maintenance Minder guide. How Does the Maintenance Minder System Work? The Acura Maintenance Minder works continuously to help you stay ahead of maintenance and prevent problems before they occur. The system monitors engine operating conditions and helps coordinate oil service dates and other maintenance check-ups. It displays engine oil life in the information screen to notify the driver when it is time to have the engine oil replaced and regular engine maintenance completed. Displayed as a percentage, the oil life indicator gradually drops over time as the miles add up. Speed, engine temperature, ambient air temperature, time, and vehicle use are factors used in determining oil life. Below, you’ll find a chart which explains what each oil life percentage means. Plan and make arrangements to have your Acura serviced. Take your Acura in for required oil maintenance. Your Acura is overdue for service. Take your vehicle in for service immediately. In addition to the oil life indicator, you may notice a letter and sometimes a number on the information screen on your dashboard. These are known as “Main Codes” and “Sub Codes”. A Main Code will always be displayed when your Acura is due for service. Occasionally, a Sub Code will be displayed alongside the Main Code. You can find the meanings for these codes in your Acura Owner’s Manual or refer to the charts below for further explanation. 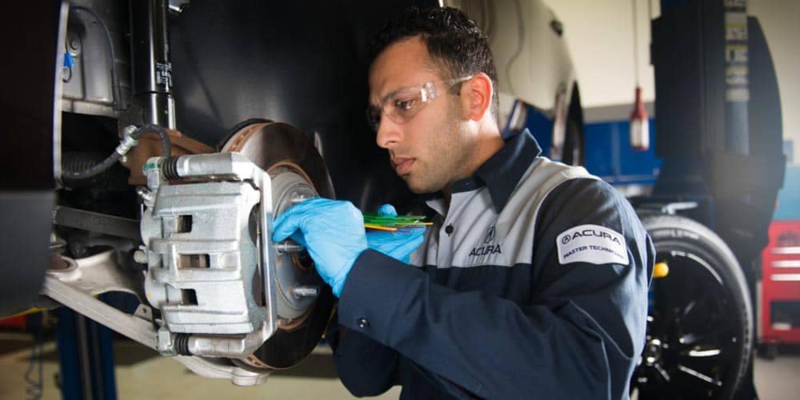 Use this helpful link to determine the exact maintenance schedule for your specific Acura vehicle. Providing much more than simple reminders on when to change your oil, following the Acura Maintenance Minder gives you benefits that will be appreciated by both you and your vehicle. By following the Maintenance Minder when completing your oil changes you’re ensuring that your engine continues to provide the same level of performance you’ve come to expect. The system takes the guesswork out of oil change intervals, eliminating unnecessary waste that results from changing your oil too frequently. Another bonus is that you’ll drive with the reassurance that you’re helping to preserve our environment. Choosing Motorcars for your vehicle service needs allows you to drive with total confidence. 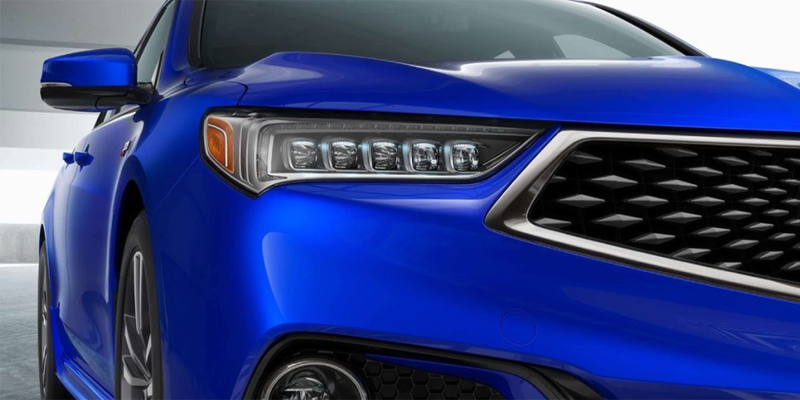 Our entire team of factory-trained Acura technicians and service professionals will give your vehicle the care and attention it deserves while using Genuine Acura Parts. If you still have any questions about the maintenance schedule or requirements of your Acura vehicle, our friendly and knowledgeable Acura Service Advisors are ready to answer them. We’re here to make it simple and convenient to keep your Acura running like the day it was new!